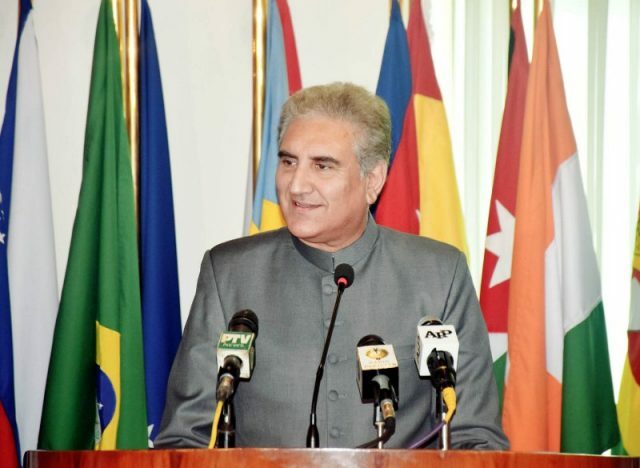 Foreign Minister Shah Mehmood Qureshi will leave for Afghanistan tomorrow (September 15) on a one-day official visit. The Foreign Minister will meet his Afghan counterpart Salahuddin Rabbani president Ashraf Ghani and chief executive Abdullah Abdullah. Foreign Secretary Tehmina Janjua will also accompany him on the visit. Pak-Afghan relationship, Kabul peace process, talks with the Taliban and border management will be discussed in the meetings. Mr Qureshi will also raise the issue of Pakistani consulate’s closure in Jalalabad. This is Shah Mehmood Qureshi’s first foreign visit as Pakistan’s new Foreign Minister. The Trump administration and Afghanistan have accused Pakistan of helping the Afghan Taliban and its Haqqani network who have staged attacks in Afghanistan. Pakistan denies this. His request was publicly acknowledged by Pakistan’s Foreign Minister. Qureshi said the US needs Pakistan’s help to find a political solution to the Afghan conflict and he has assured the US delegation led by secretary Pompeo that the country will play a positive role.